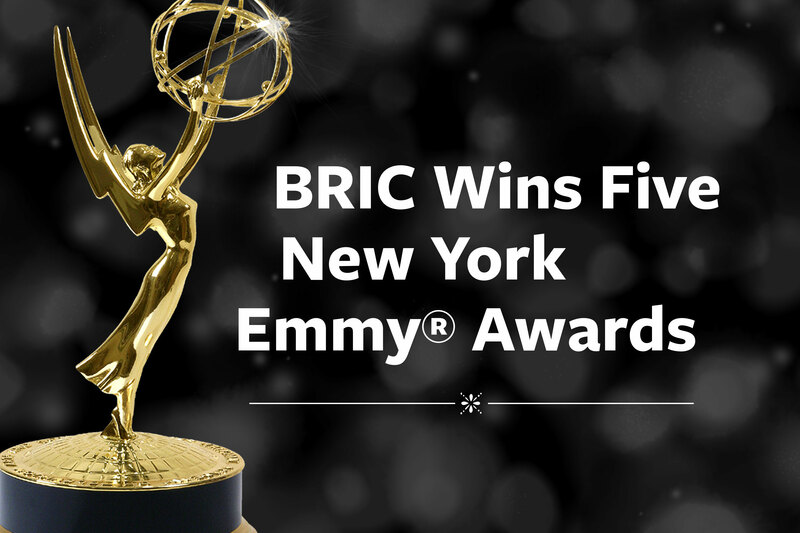 BRIC, the leading presenter of free cultural programming in Brooklyn, is pleased to announce that its two community media initiatives—BRIC TV and Brooklyn Free Speech—won five New York Emmy® Awards at the 61st Annual New York Emmy® Awards on Saturday, April 14, 2018. The wins include four for BRIC TV, Brooklyn’s premier nonprofit video producer of local news and social justice reporting featuring content produced by BRIC and one for Brooklyn Free Speech, a community-driven nonprofit TV and podcast network featuring content produced by the Brooklyn community. Pictured: The very happy and overjoyed BRIC TV and Brooklyn Free Speech teams at the New York Marriott Marquis for the 61st Annual New York Emmy® Awards on Saturday, April 14, 2018.